MINNEAPOLIS — Braden Burke sat at his stall finishing off the last remnants of his lunch as reporters filled the Michigan State locker room. The room was open so Final Four media could ask players questions, but Burke still had potatoes and broccoli in his Styrofoam container, so he used the opportunity to get in the last few bites. "I have a high metabolism, so I get hungry a lot," the Michigan State sophomore forward said on Thursday. "I've got to eat whenever I have the chance." Playing Division I basketball, particularly at the highest levels like at the Final Four, has become a year-round job. Players not only have to stay in shape during the season, they have to keep up a high level of fitness in the offseason to remain competitive. That means plenty of running, weightlifting, agility drills, shooting, practicing. Fall off in any aspect and there will undoubtedly be a dip in their game. A small but still important component to this process is nutrition. Eat the wrong food during the offseason and a player could gain weight while losing quickness and agility. Eating poorly before practice or a game can lead to a lethargic performance. Fail to recover properly, they'll be worn down the next day. Get lackadaisical about food during the season, they'll have nothing left at the most crucial moments toward the end. "They have to pay attention to what they're putting in their body or they're just not going to have what they need in the tank to get to the court," said Randy Bird, Director of Sports Nutrition at the University of Virginia. 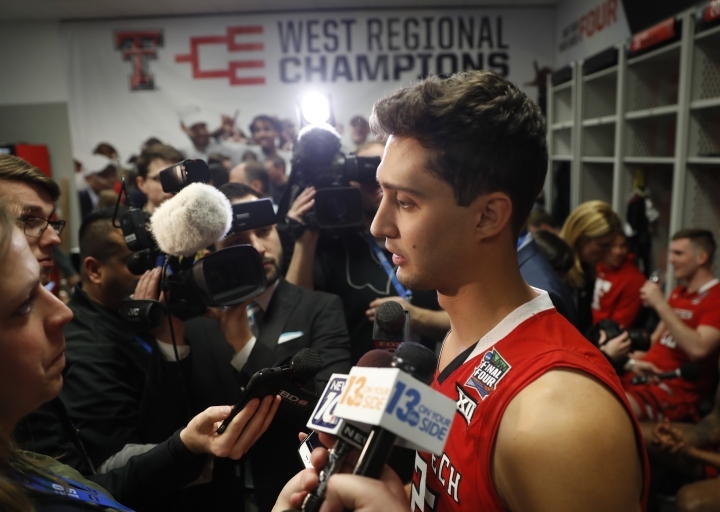 "They're going to get worn down before the conference tournament even starts or to make it to this point." Some schools build detailed meal plans for players, mapping out what they eat and when they eat it, with options and variety to keep it from getting boring. Some lay out basic guidelines, offering suggestions of what types of food to eat at certain points during the day. Other schools have more of a hands-off approach, allowing the players to eat what they want — within reason. "Nutrition is obviously very important, but to me, not in the regard they have to eat super healthy or what people term 'clean,'" Auburn strength and conditioning coach Damon Davis said. "For these guys, it's more about getting consistent calories throughout the day and trying to avoid certain foods on game days." Getting 18- to 22-year-olds to eat properly is not always easy, even at an elite level. The players are in somewhat controlled environments a good portion of the day, getting food in the locker and training rooms or the dining hall. Late at night or times when they're not with the team are a little tougher to stay on top of players' eating. Most players adhere to the recommendations, but there's almost always someone who needs to be gently reminded about his eating habits. And not every player has the same plan. They all burn the same amount of calories — anywhere from 700-2,000 in a practice — but different bodies have different needs. Some players need to gain weight, some need to lose weight, others can eat pretty much anything they want, so the meal plans are catered. "I never stress for them to follow this 100 percent of the time when I give them recommendations and their plan to follow," Bird said. "I tell them I want them to deviate from it so otherwise it does feel like a diet and I don't want to feel like they're on a diet. If they're following what I'm asking to do 90 percent of the time, deviating from that 10 percent of the time, they'll still see good results." 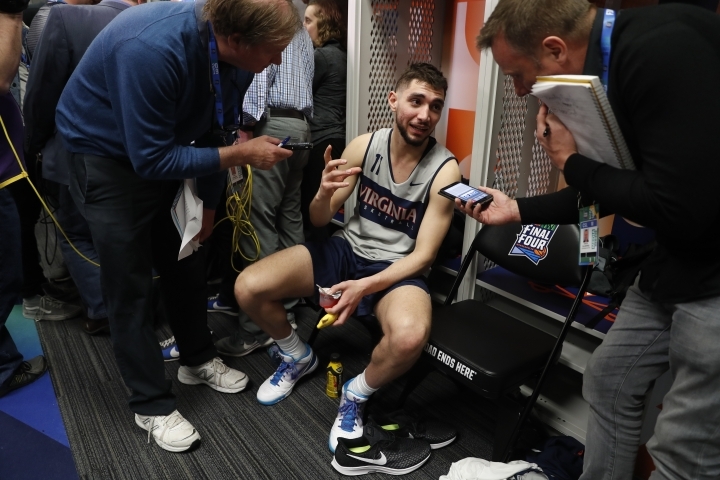 Virginia's players often have breakfast burritos in the morning and fuel sources available in the locker room, like the team favorite Gatorade fuel bars. After workouts, they get recovery shakes and work on rehydrating. Hunger follows after they're rehydrated, so there's usually sandwiches, fruit, pretzels or Greek yogurt in the locker room if the players didn't eat lunch. The fuel-and-recovery process starts all over before and after practice, then multiple options are available in the dining hall for dinner. The food choices vary some on game days, but not a lot; no need to create distress from a new food just before playing. Even if no plan is in place, there are definite foods to avoid: sodas, fried food and fast food. A big no-no: energy drinks. Not only do energy drinks lead to a crash later in the day, caffeine is on the NCAA's banned substances list. Players are allowed to have caffeine, but excessive amounts could lead to a suspension. "It's really a stimulant drink and there's no guarantee how much caffeine you're getting in it," Bird said. "You're not going to fail for things like coffee and tea but artificially added product like an energy drink could work, so it's not worth it to fail a drug test and sit out a year."